It's called AstaZero, a closed course where Volvo will test its future safety systems to ensure no one is killed or seriously injured in a new Volvo by 2020. These are noble goals and an amazing facility, but all I want to do is dodge faux moose on the skidpad in an over-endowed 240 wagon. The reason AstaZero exists is to provide Volvo with an infinitely configurable environment that encompasses every conceivable traffic situation its cars could encounter. And it's got it all. The entire facility is about the same size as the city on Monoco, with 250,000 square meters of paved surfaces and a 3.5 mile highway. There's a high-speed skidpad that's nearly 800 feet across and a city section complete with buildings, roundabouts, intersections, bike lanes, street lighting, bus stops, and roads of varying width to mimic nearly any urban environment. A rural test road ventures into the woods outside Gothenburg, Sweden, there's a multi-lane freeway, and yes, a remote controlled moose for wildlife evasion tests. 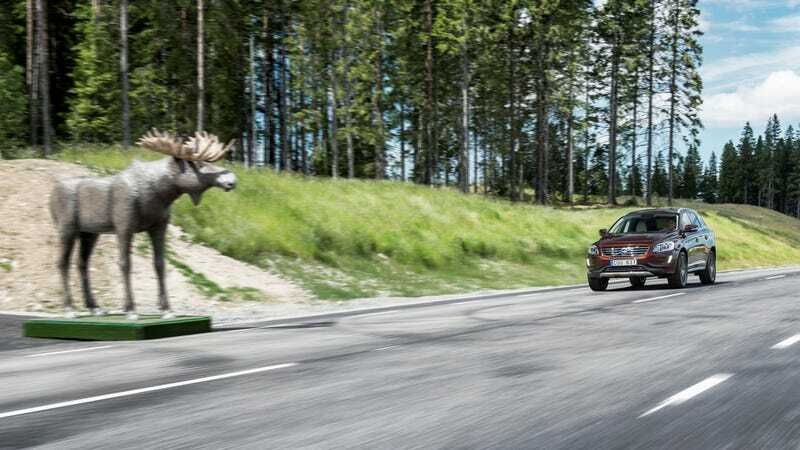 Volvo will use it to collect petabytes of data that will help shape both its passive and active safety systems, but we're sure Sven and friends will take a new Polestar out there on the weekends – because I would.